For the first thirty years of her life, Carla was a performing and teaching musician. She earned a B. A. in piano performance (high honors, Phi Beta Kappa), and a masters’ degree in arts, major in music theory. For several years, Carla taught flute and piano in colleges and gave private lessons. Moving to Seattle, Washington while pregnant with her son Chris (yes, it’s Chris Cross, and he owns a real estate company now…. ), Carla started selling real estate as a fluke when Chris was 14 months old. (Her training was really ‘in the field’!) With no training and little guidance, Carla still found she loved selling real estate, because it was a challenge and a contrast to music. She attained recognition in the top 1% of her 400 agent company in her third year in the business. While setting sales records, she kept playing music and teaching for several years. (Her Professional Portfolio is the result of the insights she got transferring her musical background to real estate excellence). Now, Carla runs her coaching and training company, while attempting to get her body in shape by letting a personal trainer torture her three times a week. She thoroughly enjoys working with her professional real estate coaches as a cohesive team and seeing awesome clients achieve their goals quickly. Always creating new programs, Carla is now working on an inspirational book and a ‘inner coaching’ guide. •Creator of the best-known, most used new agent start-up plan in the world, Up and Running in 30 Days. •She’s been a presenter at the last 16 National Association of Realtor Conventions. •She has been the choice of CRB for their featured speaker at the last 4 NAR conventions. •She’s appeared on CNN and CNBC, as well as dozens of radio programs. 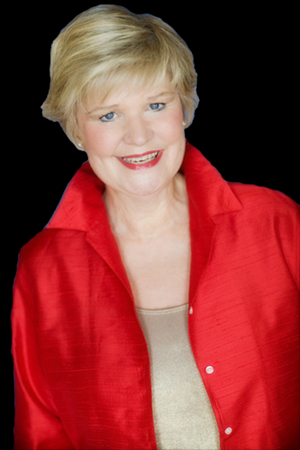 •She’s been published over 300 times in major real estate magazines and newsletters. •Carla is a National Association of Realtors National Realtor Educator of the Year. •She’s a Washington State Realtor Educator of the Year. •She attained status as a master level CRB instructor, instructor of the Certified Real Estate Broker designation (CRB); author of several CRB Managers’ Courses, including the business planning course. Gives examples of vision and how some companies really stand out, while others are good but not exceptional; the best business book on earth! All of Pink’s books are illuminating; for those of us who coach, understanding contemporary motivation and to successfully motivate now is a must! Note: Unfortunately, the quality of this audio recording was compromised due to technical issues, and we were able to restore some of it with some audio engineering brilliance. We appreciate your patience and understanding while listening to it.